This week we will look at the new line of original comics coming from the Insight Editions imprint, Insight Comics. I have been meaning to get to some of these titles and I’ve hesitated since I really wanted to process them and have something worthwhile to say! Well, enough waiting. In fact, I interviewed Nilah Magruder a few months back at Emerald City Comic Con and so I’m overdue. 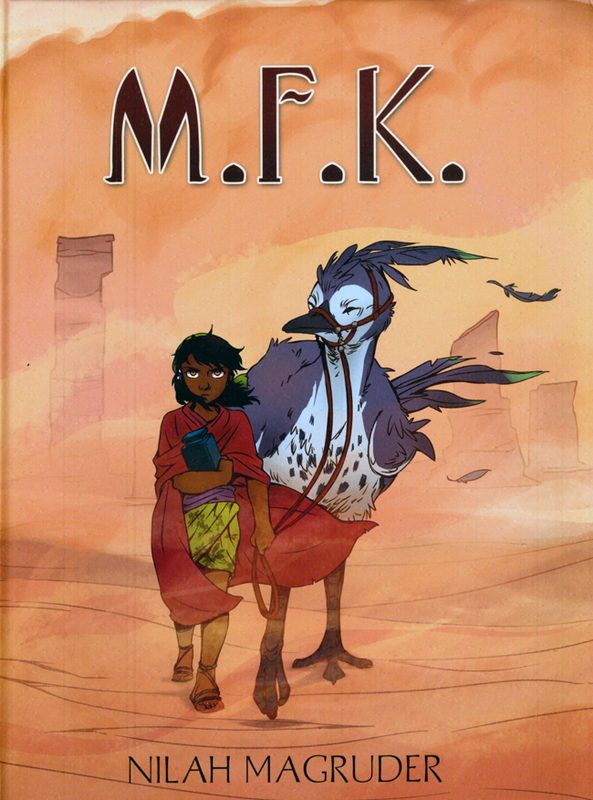 The first comic to kick off this new line of comics is “M.F.K.” by Nilah Magruder. Now, you may wonder what M.F.K. stands for but that will remain a mystery. It’s quite fitting considering this is one of the most unusual and mysterious comics I’ve ever read. 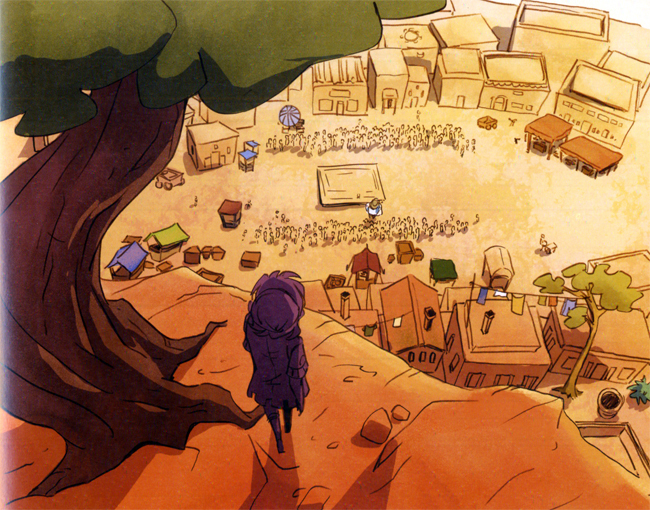 A small in humble village is the jumping off point for an epic adventure. I swear, more and more of us are collectively going to look at comics as this most stimulating alternative form of entertainment. I know that sounds stupid to say that, especially if you already appreciate comics at a higher level. I guess I mean that it seems that the vast majority are still okay with comics serving a more basic service, simply acting as a simple vehicle for action and entertainment. When people like myself lecture about how it can be so much more than that we are referring to quite a colossal amount of comics that somehow manage to keep a relatively low profile. Does that make sense? There are a lot of, say, niche comics out there but, with each passing year, the audience grows, is more accepting, and remembers specific titles and creators. Just look at how long it has taken for names like Jack Kirby and Steve Ditko to pretty much enter the mainstream. Okay, I know, I am digressing down a deep rabbit hole here. I just say this because I’m excited to see such a quirky and remarkable comic as M.F.K. getting a lot of love and respect. 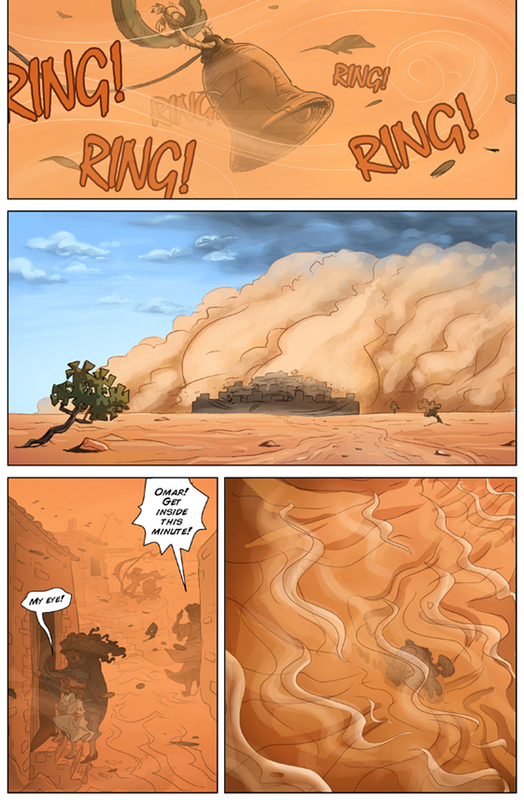 It all begins with a sandstorm! People often compare comics to movies. And prose novels. Sometimes paintings. And I would definitely have to add music. I think I found myself processing M.F.K. best as a stimulating and unpredictable piece of music. Sure, there is a narrative to follow but, as is the case with a lot of more eccentric work, the narrative is almost besides the point. Not totally but to some extent. There are a lot of atmospherics going on in this comic, okay? Amazing sandstorms and we begin with some strange scene involving a struggle to collect and process the sand. I really do not understand what the characters are doing with all this sand–but that’s okay. So, you see, in that respect, it’s like music. I am experiencing beautiful and intriguing interludes. But, again, that’s not to say there isn’t a compelling story going on because there is. Abbie is a tough kid. We don’t get her story right away but, basically, she’s this young woman with a Wookie-like bird. Abbie is carrying a urn with her mother’s remains. Her goal is to find a proper place for the ashes. But then things happen. Abbie is worn down. Her bird, or moa, is worn down. And there’s all this sand swirling around. Next thing you know, Jaime, a young man, becomes entangled in a fight with Abbie that leads to Abbie and the moa both being stabbed by Jaime. This leads to Abbie being taken in by Jaime’s family who tend to her wounds although reluctantly since she’s an outsider. A lot more stuff goes on, including a much better understanding of who or what Abbie really is, and we come full circle in this first installment with Abbie back on the road with her urn. But she no longer has a moa. Now she has Jaime as a sidekick. You can imagine all the music coming from this comic, can’t you? I’m sure you can. 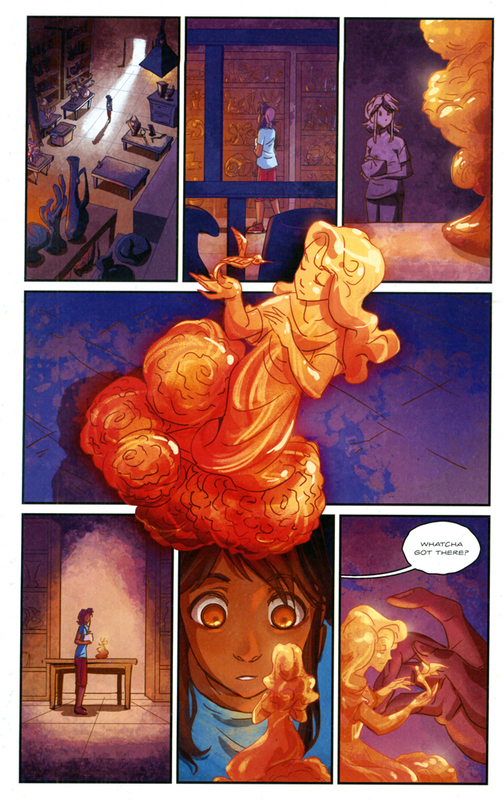 Nilah Magruder has written and drawn some sort of epic opera in the form of a quirky, funny, and most engaging work of comics. The first book in the M.F.K. saga is now out. For more details, visit Insight Comics right here.